Pilot your star from absolute zero to musical hero whilst perfecting their look and pad, learning instruments and hanging out with your friends. 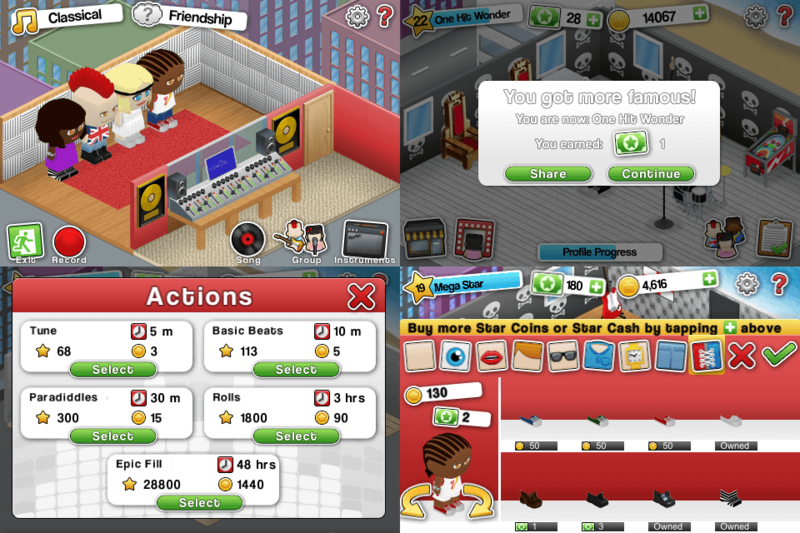 Starting from a simple wannabe Star, the player helps practice instruments, jam with friends, record songs and sort things out backstage to generate the currency and fame their Star needs. Along the way the player can fully customise their Star’s look and pad from the in-game shop. If that wasn’t enough, the player can post posters of their star at real-world locations using the Foursquare API, and have their Star call, text, or email them when they’re in need of help! 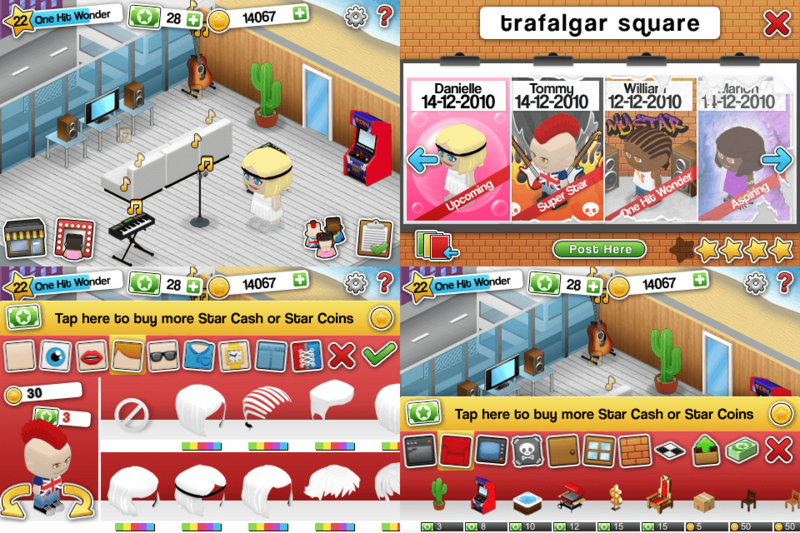 My Star is a game that’s simply bursting with features and really shows Mobile Pie’s technical prowess. Mobile Pie’s very own My Star was born out of a brief from Orange to use their new Call and SMS APIs in an innovative way. As it turned out My Star is much more than that and is a bit of a beast – we’ve created a fully featured social game based on a journey to musical stardom. The entire social game server was created in-house.